If you are looking for quality seats, carpets or any other interior products for your Suzuki Every Van, NILANTHA CUSHION WORKS is the ideal place for you. We use only the high quality materials for our products. 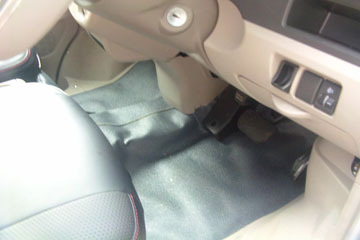 And you will be amazed with the final look and feel of all our vehicle interior products. The new generation Suzuki Every continues to move the micro vans heritage further. Unlike the old model the new Every comes with a pretty attractive interior wrapped in a modern sheet metal. 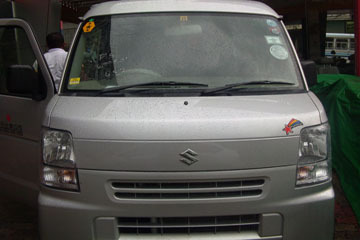 The Suzuki Every is a micro van available in both commercial an passenger versions. The model was originally called the Carry, but after a while it was renamed the Every. The Every is available with both 4×2 and 4×4 configurations and received a series of upgrades in 2007. Unlike other boxy Japanese models, the Suzuki Every isn’t sold only in its home market and it can be found in many other regions.The vehicle is basically a rebadged version of the Mazda Scrum and it shares the same engines and technologies with its twin. Power comes from a 660 cc engine which is mated on either three of four speed automatic transmissions. As most vans of its type, the Every won’t win you any beauty awards as its boxy shape isn’t exactly charming. Though, Suzuki’s designers managed to come up with a pretty interesting design language which is perfectly suited for the versatile nature of the van. The front is dominated by a pretty nice grille which is flanked by a pair or raised, rectangular headlights which give the vehicle a smug face. The bonnet is pretty short and enhances the boxy shape of the Every. The front and rear bumpers have been reshaped and come with a pretty modern design. We especially like that the van features a generous glass area which keeps the cabin airy. Along the sides there is a longitudinal crease which starts to run from the front headlights all the way back to the rear light clusters. The B and C pillars have been blacked out and give the van a touch of sportiness. Access to the load area is made by means of lateral sliding rear doors or a convenient roof hinged tail gate. Around the back, you’ll find a set of modern clear lens taillights which cope great with the robust design of the body.